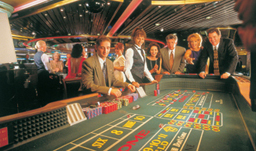 Princess has long been known as "The Love Boat", named after that classic 1970s television series where cruising was first exposed on to the mass-market. 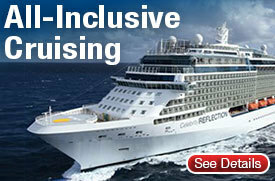 And yes, the original Pacific Princess is still in service, offering a smaller more intimate way to explore the world. 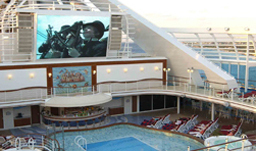 The Royal Princess is a more modern version of the smaller Princess ship, with all cabins on board being outside - perfect for exotic exploration. 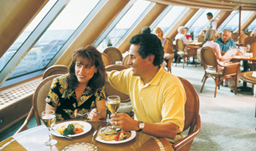 The bulk of the Princess fleet are large mega liners built in the 1990s, and the newer Grand Class ships - ships that are in excess of 100,000 gross registered tons, offer a truly outstanding cruise experience. The line has British origin, and many officers come from Great Britain. Prominent too are the Italians, and the balance of the crew is from all over the world. 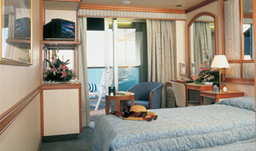 Contemporary décor exists on all Princess ships, with soft pastels, light coloured wood, and extensive use of glass throughout. 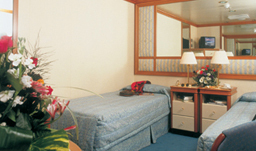 Cabins are large, and well appointed, with the same light décor as used in the public rooms. The dining experience is graceful, with a slight emphasis on Italian cuisine; waiters prepare fresh pasta in the dining room each night in addition to delivering excellent quality cuisine from the kitchen. 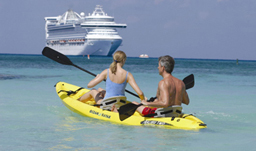 Worldwide exploration is the focus of the Princess Line, with less emphasis on the Caribbean market than its competitors. 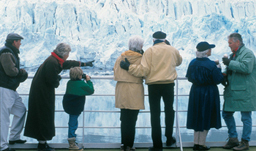 Princess offers its own cruise-tour program in Alaska and other worldwide destinations, with its own nature lodges and Midnight-Sun-Express rail cars in Alaska. 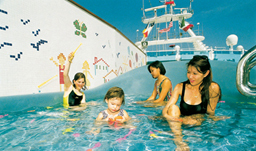 Guests can see the world in consistent quality style, which is why Princess has such a high repeat factor in their Circolo past passenger program.